The Apple II / Apple ][ (if you are into spelling things the weird-yet-popular way) got its second enhanced version in the form of the improved Apple IIe (find out more about it on Wikipedia). 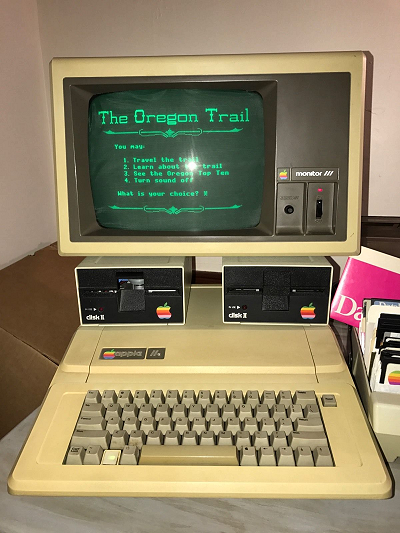 It's the exact same computer you could own by bidding on this Apple IIe eBay auction. The fully working 8-bit micro on offer comes with two disk drives, many disks with games, utilities, and promo software, an Apple III monitor, keyboard, Epson printer card, and 128k of RAM.